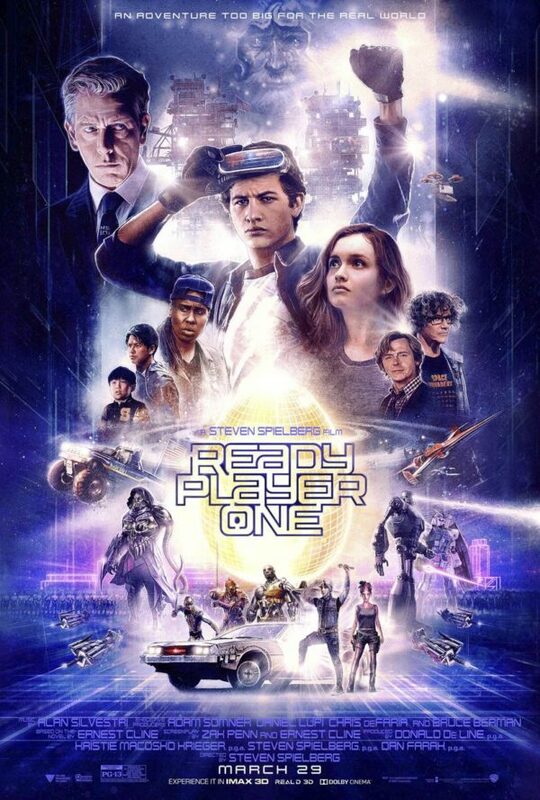 This is a new retro poster for Steven Spielberg's film adaptation of Ready Player One. The film is being adapted from the 2010 novel of the same name, written by Ernest Cline. The book was a New York Times bestseller and won the 2012 Prometheus Award.The cast also includes Tye Sheridan, Mark Rylance, Olivia Cooke, Simon Pegg, T.J. Miller, Ben Mendelsohn, Win Morisaki, Philip Zhao, and Hannah John-Kamen. It is scheduled to be released on March 30, 2018. "When the creator of an MMO called the Oasis dies, he releases a video in which he challenges all Oasis users to find his Easter Egg, which will give the finder his fortune. Wade Watts finds the first clue and starts a race for the Egg."